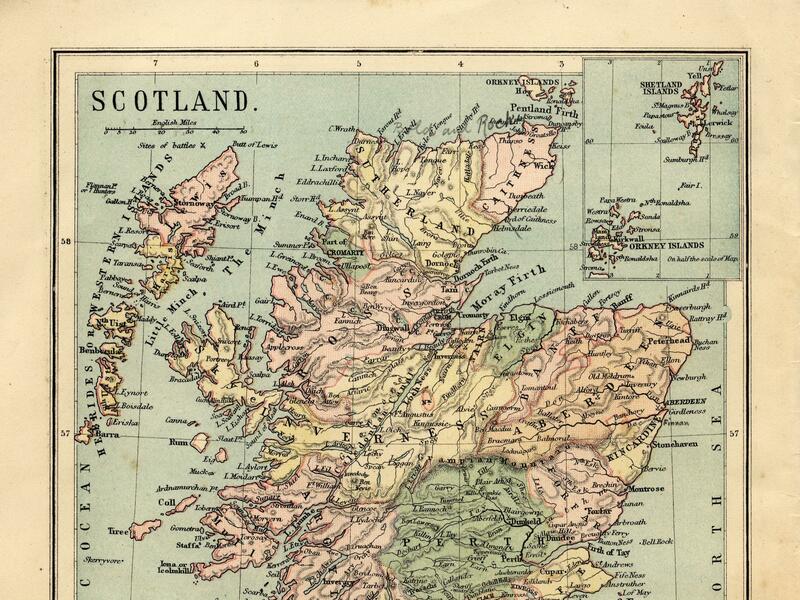 One of many maps of Scotland that places the Shetland Islands in a box in the upper right corner. Shetland is outlined in red on this map, no box required. In a 2011 torch relay before the 2012 Olympic Games, 15-year-old Mhairi Gifford from Shetland points to the box. "Many islanders, if not all of the islanders, feel pretty upset by that and were fed up with the irritation of being in the wrong place," Tavish Scott, a member of Scottish Parliament representing Shetland, told the CBC this week. A Facebook group called Get Shetland On The Map! has more than 1,600 members, many who have posted photos of maps that either depict Shetland in a box or missing entirely. 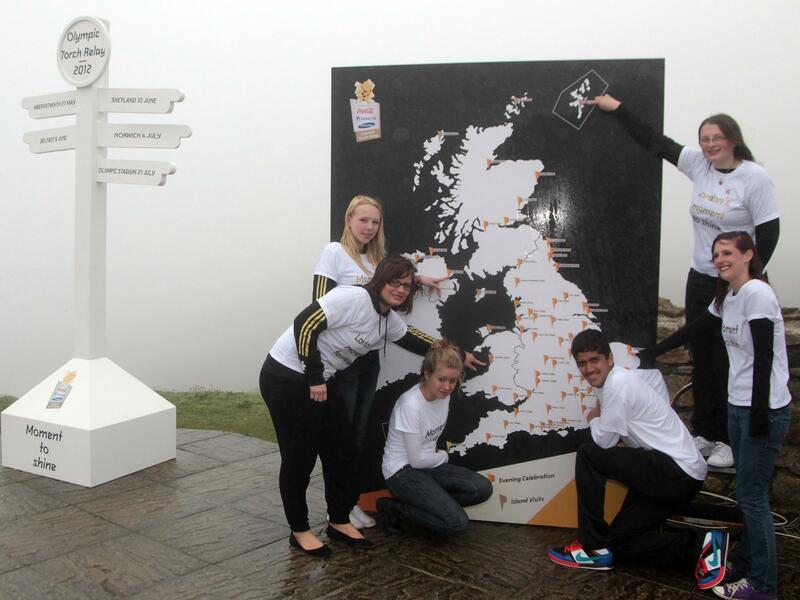 But Shetlanders had enough, and now they'll not only be on the map – they'll be in the right geographical location. 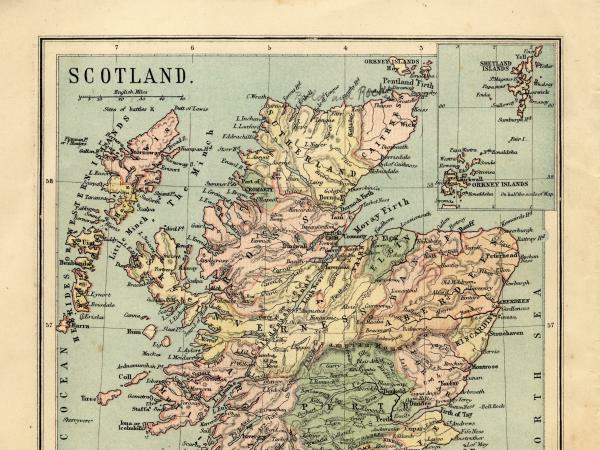 Scott successfully led an effort to add a new statute to Scottish law requiring government maps of Scotland to depict the Shetland Islands "in a manner that accurately and proportionately represents their geographical location in relation to the rest of Scotland." Not everyone thinks it's such a grand idea. 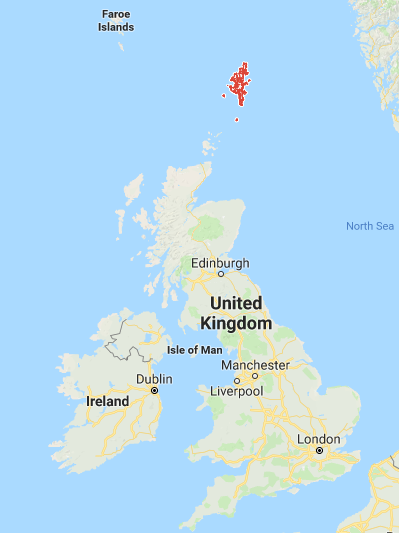 One mapmaking agency told the BBC that they use inset boxes like the one Shetland is usually found in to avoid making maps "which are mostly sea." One problem, they said, is that by including so much sea, it drastically reduces the detail that can be shown of the land. But Scott says that if a correct map of Scotland means a lot of water – well, that's simply accurate. "I don't have a problem with that because we live on islands, we depend on boats, we have a huge fishing industry that depends on a pristine marine environment, we have the oil industry all around us as well," he told the CBC. "It seems to me a bit strange not to have the sea as part of the geography of Scotland. It's the reality of where we are." Scott says that since he started his effort to get Shetland out of the box, he has received numerous emails from islanders elsewhere in the world who are similarly annoyed by the boxes they're often put in. Alaska and Hawaii present a significant challenge to mapmakers, who often take liberties of their own: the two states are frequently depicted not at scale, and placed in boxes — usually somewhere south of California. "It's not an ego thing for me about the size ... but it is easier for people to understand Alaska's incredible diversity in climates, cultures, lifestyles and peoples when they grasp that the state is enormously vast," one Alaskan explained on the website Quora. "Maps showing an incorrect location for Alaska makes it tough to explain how Alaska's distance from contiguous (but remember, it's not impossible to get here) U.S. states affects Alaskans and our lives here." Scotland's new law does allow authorities to not comply with the law if they can give a reason why not. But Scott, the parliamentarian, doesn't have a lot of sympathy to cartographers' struggles. "Well, hey-ho. My heart bleeds for them," he told the CBC. "We live where we live. I think it's time that we were put in the right place and that's what islanders believe." He mentioned a t-shirt that's quite popular in Shetland: It shows a large map of Shetland, and a tiny Great Britain in a small box in the corner.